Are you trying to find the perfect 256GB MicroSD card for your smartphone? On this page, I not only highlight the must-have 256GB cards, but I also highlight some other useful information that will help you with your buying process. Uncover some information you never knew, which should prove to be helpful in the future. Below, I list the best 256GB Micro SD cards that are currently available. There aren’t much options aside from SanDisk and Samsung, but with those 2 companies, you are getting a quality MicroSD card, that not only delivers the performance you are looking for, but the cards are pretty fast. The most popular 256GB card on the market right now is the SanDisk Ultra. This card stands out not only because of its massive storage capacity and performance, but it is also the cheapest option available. This is a Class 10 card that should be able to deliver read speeds of up to 95MB/s, perfect for your high end device. If you want an incredibly large memory card for your mobile device, then this SanDisk 256GB should be on the top of your list. Samsung makes quality smartphones and their memory card offerings are no different. The 256GB Samsung Evo + MicroSD card delivers a substantial amount of storage space and it is also pretty fast. With the Evo+, you can expect 95MB/sec, write speeds up to 90MB/sec so you can quickly transfer files and it is also fast enough to handle devices that need a high write speed. Another Samsung 256GB makes the list. With this card, you are getting blazing-fast read and write speeds (95MB/s & 90MB/s). Perfect for recording 4K UHD as the card is not only quick enough, but it has the storage space to match. While it is a bit expensive, the amount of data that it can hold and the speed of the card makes it one to consider. Is The 256GB MicroSD Card Worth It? “Worth it” is very subjective and I can’t definitively say yes or no. It really depends on how you plan on using the microSDXC card, which will eventually determine its worth. A 256GB card is for those people who are looking for a lot of storage space. 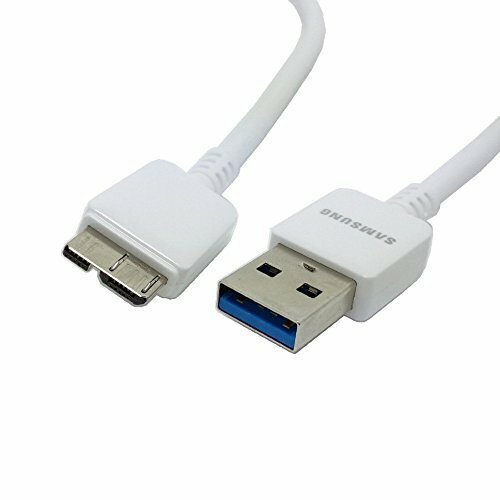 At the end of the day, if this is something that you need for your digital device, then this is something you definitely need to have. If you are a regular user, these cards are going to be expensive and because of that, you need to really consider if it is worth the cost. Smaller sized cards like the 64GB MicroSD, 128GB MicroSD or the 200GB MicroSD card are all high-capacity storage options. They are also considerably cheaper, even though you do lose GBs of storage space. 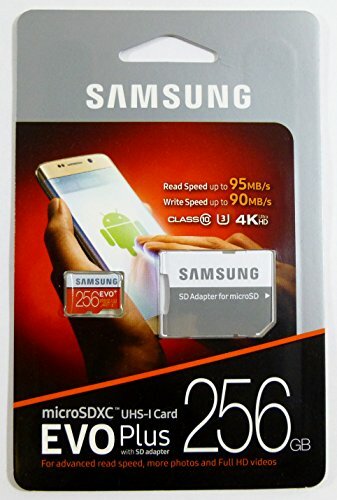 For some of you, you might have a question as to why the card is called a 256GB MicroSD in some places and a MicroSDXC in others? Well it really boils down to semantics to some degree. Technically, all cards 64GB and higher are SDXC. They are the same physical size and used in the same applications, the only difference are their storage capacities. 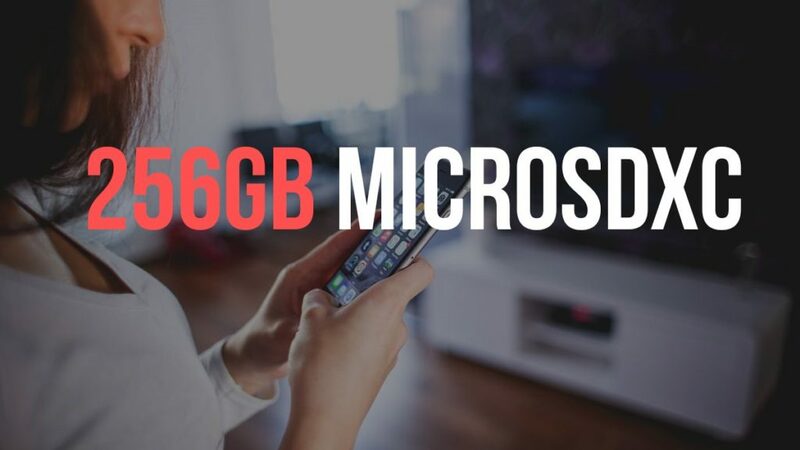 Micro SDXC cards – Their storage capacity is from 64GB – 2TB. 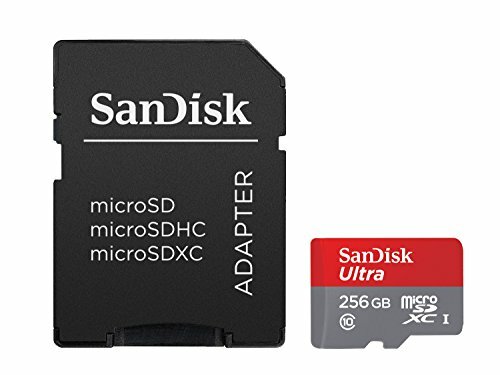 Because MicroSD were what people have known the small miniature memory cards for cellphones to be, the name has just stuck, even though there are differences between the three formats. So at the end of the day, if you hear someone referring to one or the other, it is basically the same thing. How Much Data Can the 256GB MicroSD Hold? It is still amazing that we have cards this small, but can hold so much data. Off the bat, the 256 GB microSD card can hold a lot of memory. To get an idea as to the storage capacity, check out the table below. It should be to give you an idea as to how many movies, videos, pictures, MP3s and other data that can actually be stored this sized card. Note, please take the information that I have presented below as the hundred percent fact. All the numbers used are based on real-world data and you should be aware that the memory card could actually hold a lot more or less, it really depends on a wide variety of factors.